Occupational hygiene (or industrial hygiene) uses science, engineering, safety and effective communication to protect and promote worker health. Occupational hygiene (or industrial hygiene) is the anticipation, recognition, evaluation, control and prevention of hazards from work that may result in injury, illness, or affect the well-being of workers (Wikipedia). In the coming years, safe and healthy working with hazardous substances will be the focus of many companies and inspectorates. This has everything to do with the European campaign 2018-2019: ‘Healthy workplace: hazardous substances, that’s how you handle it!’ This attention is much needed because statistics indicate a high burden of disease, due to exposure to hazardous substances like welding fumes and process chemicals. In addition, the Dutch labor inspectorate has announced that it will enforce the chemical hazard prevention and control more and more stringently, especially with regard to workplace exposure to very toxic substances, including carcinogens. Employers are responsible for the registration of individual exposure to carcinogens. However, according to this recent report of Capgemini (Dutch), in practice, individual exposure information is barely registered. What does that mean for your company? How can you comply with the law (Working Conditions Act and REACH)? How do you get started with this complex matter? Philips Innovation Services offers occupational hygiene expertise and consultancy on chemical exposure, and physical agents like noise, heat, and vibration, to support your company to protect employees, understand the law and provide solutions. Occupational hygiene is the discipline of anticipating, recognizing, evaluating and controlling health hazards in the working environment with the objective of protecting worker health and well-being and safeguarding the community at large (International Occupational Hygiene Association IOHA). Each company working with hazardous chemicals needs to assess their exposure and potential health risks. 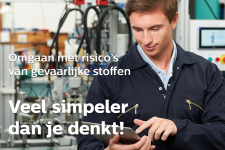 In the Netherlands the labor inspectorate has developed a self-inspection tool (Dutch) to guide companies with four distinct steps. Generate a register of all hazardous substances you are using, for example using our Fasim 2.0 IT solution. 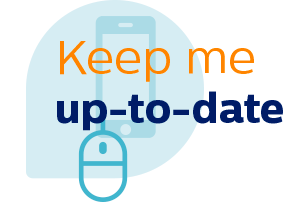 Set-up or complete your mandatory CMR register by measuring and/or estimating individual occupational exposure. Set up an exposure assessment methodology for specific substances. Assess workplace exposure to hazardous substances by conduction measurements or modeling the exposure using validated tools like Stoffenmanager®, ECETOC TRA, and the Advanced REACH Tool. Education on safe handling and storage of chemicals. An overview of all chemicals, stored in a validated tool. An exposure assessment of all chemicals based upon the best applicable scientific models available. A validation of the exposure by conducting measurements in the workplace. Also exposure to nanoparticles in the workplace. Provide advice to reduce exposure, taking production and quality into account. We generate exposure limits, based upon scientific or legislative publications, or chemical and toxicological knowledge. The foundation of the exposure assessment is your register of hazardous substances. The register will help you get insight in the amounts used, the processes and the potential hazard of the specific substances. 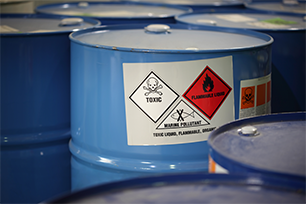 A hazardous substances register can be generated using our Fasim 2.0 IT solution. Based on the amounts, the processes, and the hazards, an occupational exposure assessment will be done in a tiered approach. The first step will be modeling exposure. We are familiar with using ECETOC TRA, Stoffenmanager®, and the Advanced REACH Tool. Taking the specifications of the substance and the work process into account, the best applicable model will be used. If safe use cannot be demonstrated using models, we will measure exposure. The results of the measurement will be interpreted using the NEN-EN 689 as a reference. Next to this, we provide occupational hygiene services related to nanoparticles. In recent years there has been much debate on the potential human health hazards caused by exposure to nanoparticles. During several industrial activities, nanoparticles are formed, especially in the high tech industry. The number of studies indicating potential adverse health effects caused by exposure to nanoparticles is increasing. An in-depth ‘nano-Risk Assessment’ that makes the risks to which employees may be exposed visible. The methodology is similar to generic Risk Assessments, only geared toward a specific subject. Exposure measurements to nanoparticles. The results will be compared to the scientifically derived exposure limits. 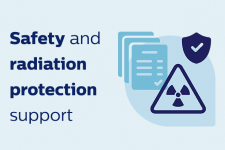 Transport of radioactive materials: the risk of radioactive contamination is in the limelight everywhere. 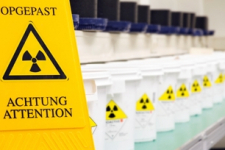 How to comply with toughest radioactive substances shipping regulations? Dangerous substances don’t always come from outside. Can our bodies produce chemicals as harmful as the substances you think of when considering hazardous chemicals?